Since 1970, global disasters have more than quadrupled to approximately 400 annually – a fact that is not lost on today’s data driven CIO. According to the Business Continuity Institute (BCI), adverse weather is a concern for more than 50 percent of all businesses. On earnings calls, some publicly-traded companies still cite “the weather excuse” when attempting to explain away poor financial results. But for all the hand-wringing on the adverse impact weather poses to your people, operations and facilities, the irony is that weather is the most predictable threat – one becoming more predictable every day as weather data and analytics tools become more sophisticated and available. Effective weather-based decision-making hinges on access to high quality data. So, what makes weather data “high quality?” Accuracy, proximity, network size, granularity and frequency. When enough inaccurate data enters a system, quality suffers. For example, some available data sources rely on community-based weather-watchers, those who’ve voluntarily gathered weather data, and weather enthusiasts of all kinds. While enthusiasm for weather science is always encouraged, relying on crowdsourced volunteer data to make important decisions is risky and network equipment deficiencies can degrade data quality. Data proximity is also critical: If you are relying on systems that collect data from weather stations at airports and remote locations, results can be skewed. It is important to leverage data that is hyper-local to your location(s) as severe weather conditions can vary greatly from mile-to-mile or even block-to-block. Network size must also be factored in when considering what types of hyperlocal weather intelligence, you need, as well as data granularity and the frequency with which weather data is delivered. Inclement weather can go from bad to worse in a matter of seconds, and access to real-time data can prove especially valuable for businesses that depend on up-to-date routing information. Finally, CIOs should press any weather data services provider to deliver an automated data quality review before any decisions are made based on that data. 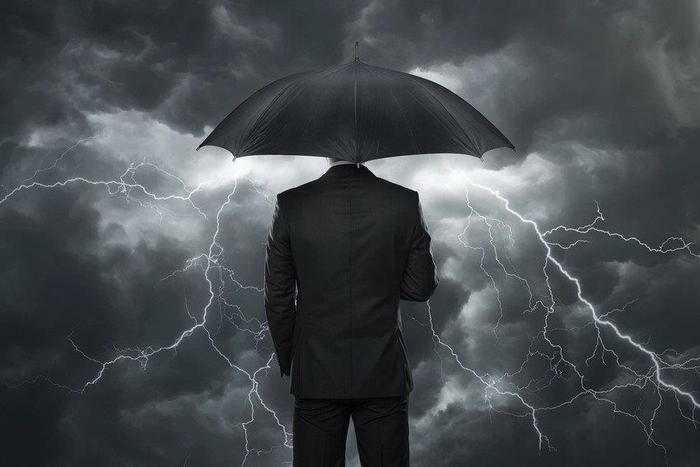 For business executives and business continuity professionals, the value of advanced weather is diminished if that information cannot be quickly and easily shared with all relevant stakeholders. Your organization must have the processes and technology in place so that individuals in the office and out in the field can collaborate on data at any time, in any place and using any device. Weather information must flow freely between those charged with making decisions based on the data, as well as the ultimate consumers of the data, such as drivers on the road hauling your goods to customers during a pop-up thunderstorm, or an oil & gas firm needing to route drones to view weather damage to an offshore rig. Collaboration requires the ability to reach users on mobile devices with real-time weather alerts, and allowing for collaboration to occur on data and visual maps. Decision-making grinds to a halt if decision makers are not operating at the same information level. APIs are unlocking new opportunities for CIOs across a broad range of industries to add value to their products and services, and weather data APIs are no exception. Leveraging off-the-shelf APIs that plug weather intelligence directly into existing systems alleviates the hassle of data management and allows fleet managers to effectively distribute relevant information to the right people. Take the case of a business with vehicle fleets that need to be managed; many fleet managers already operate a visualization platform that they distribute to their field staff to help them with routing and decision-making. These platforms may come prepackaged with data such as routing maps, as well as dynamic data that includes traffic congestions on their route - just like many of us see on Google Maps or Waze. Through APIs, weather data can be combined with other data sources such as traffic patterns and road closures to automate those decisions and simply present the optimized route to the driver that reduces delays, saves fuel costs, and adheres to committed delivery schedules. Weather forecasts help businesses prepare for tomorrow, but there is a critical need for real-time information to automate and, in turn, speed decisions today. Automation ensures that critical business continuity decisions are no longer based on trying to decipher myriad weather data and making time-consuming and often inaccurate manual decisions, but instead allowing the data to inform the best course of action. Supply chain operations represent an ideal use case for automating weather-influenced decisions to keep products moving. No matter the product or market, weather is just one of the variables influencing the supply chain. But it is a big one. Advanced real-time weather data in conjunction with detailed environmental outlooks can guide businesses with supply chains that are sensitive to weather disruptions on how to determine how much, where and when product to ship and stock. Transitioning from a manual guessing game to data-driven business decisions can allow you to maximize product sales and minimize the weather risk to your business. Mark Hoekzema is the chief meteorologist and director of meteorological operations at Earth Networks. With his extensive meteorological and data analytics background, Mark has become a trusted source on how CXOs can leverage advanced weather data to improve operations and strengthen the bottom line.